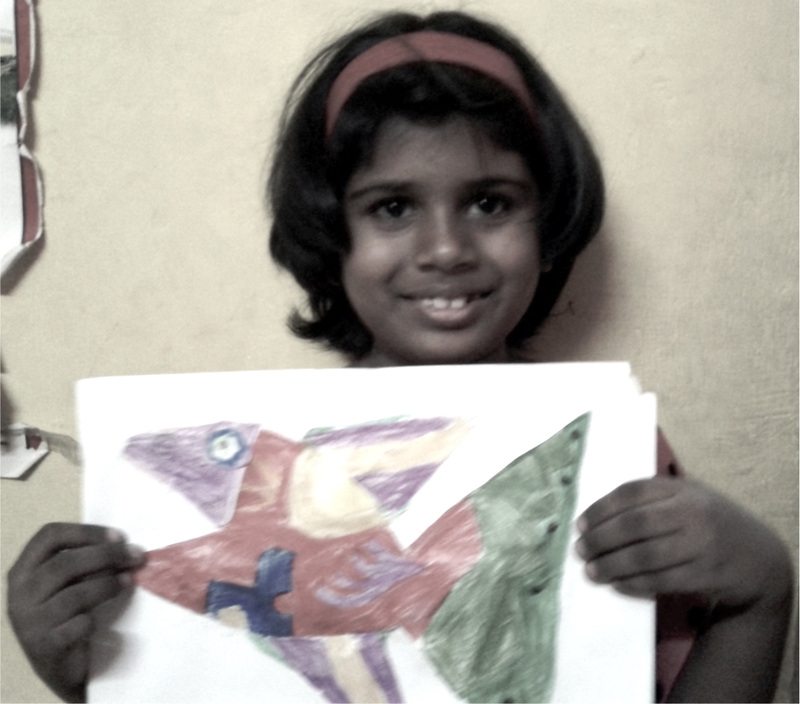 The photographs shot while children were deeply involved in art and craft making reflects many colors of them. 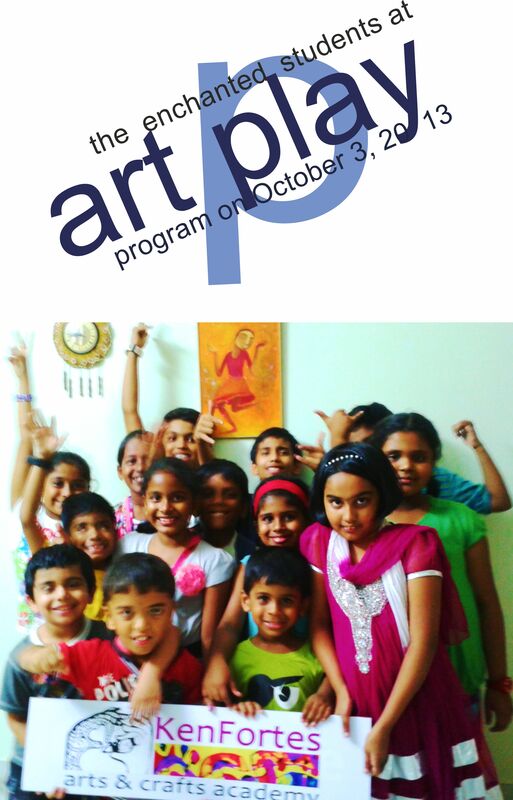 Sharing their art skills among other students is an essential part of the class. 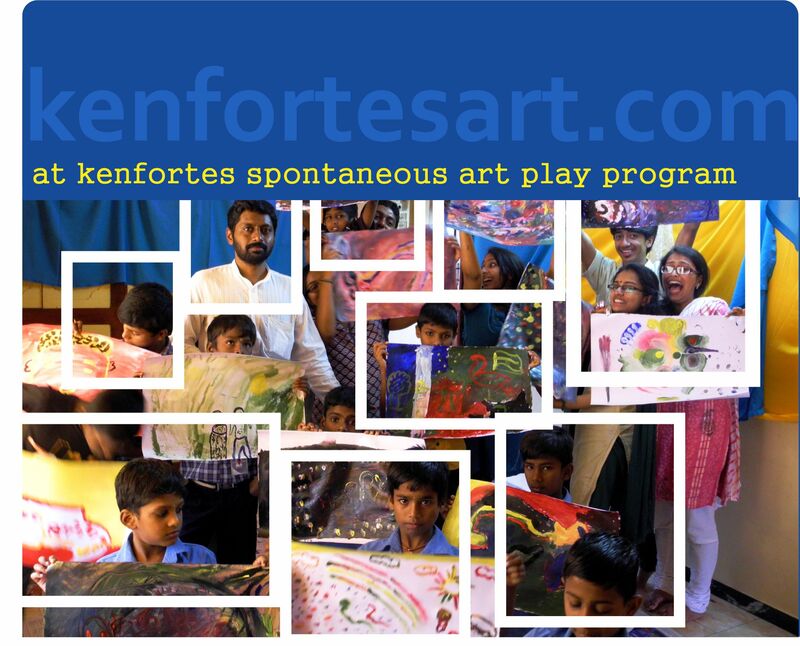 All these activities will be recorded to showcase in kenfortes website. 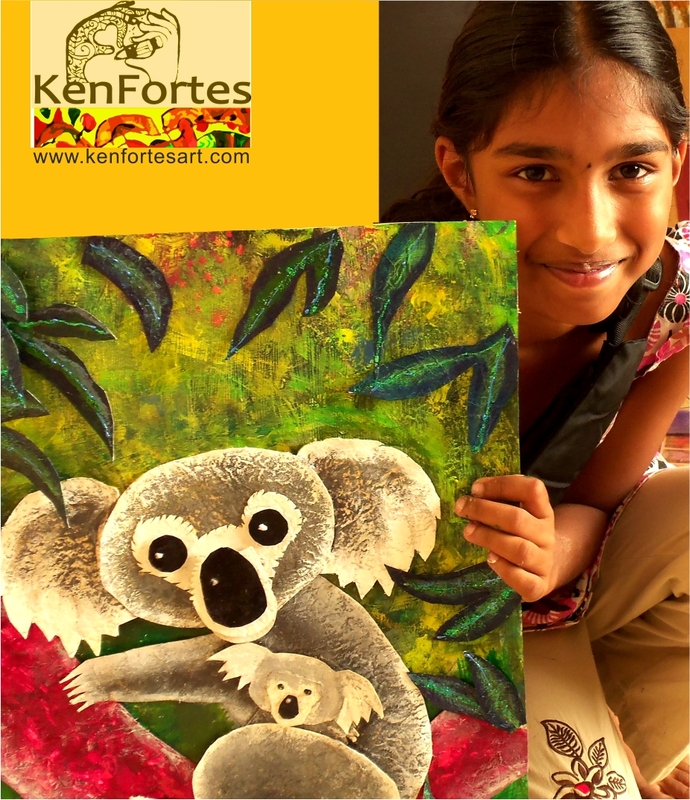 The collections are from kenfortes art class bangalore centers and kalamandir art school coimbatore . 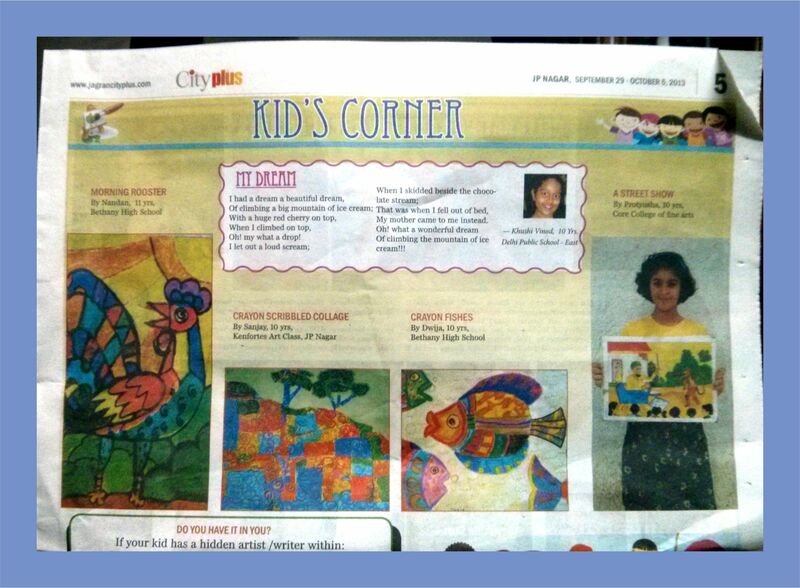 Kenfortes art student’s paintings in city plus. 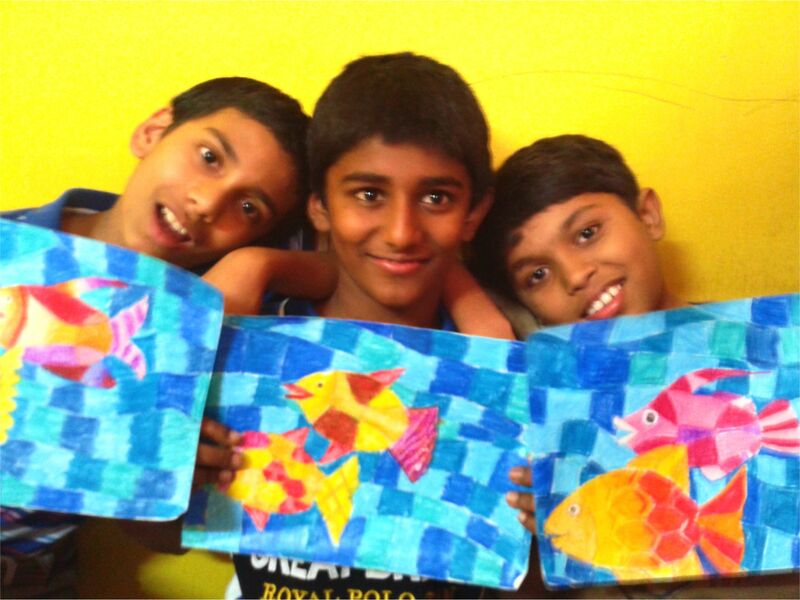 The fishes are very colourful with different background which is really attractive and lively!!! I liked the peacock dancing with a bright colours!!! good work nandan!! Other paintings are also very lively! !